WHAT’S THE AVERAGE LIFE EXPECTANCY AT BIRTH IN THE WORLD TODAY? 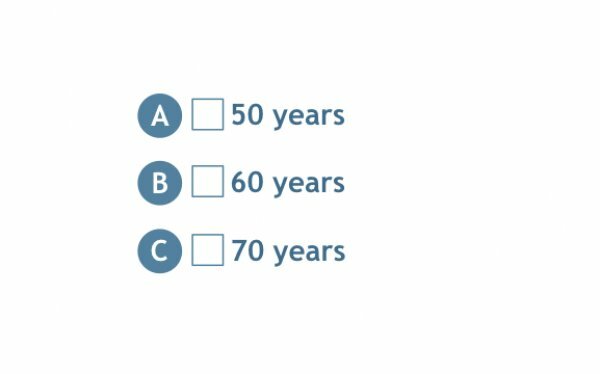 The correct answer is option C: 70 years old. There has been a 10-years rise in life expectancy over the past five decades, thanks to the great advances in healthcare across the world. This slideshows shows Test Question 3 from Gapminder Teach: What’s the average life expectancy at birth in the world today? You can see the question and the alternatives on the second slide; and the correct answer on the third slide. You can also see how the general public responded this question in our public survey. The US public scored better than random on this question, while the Sweden and Norway scored worse. Use this test question in your presentation to see if your students are aware of the fantastic global health improvement that happened during the last 50 years. Our public survey in Nordic countries show that this important trend is not well known.